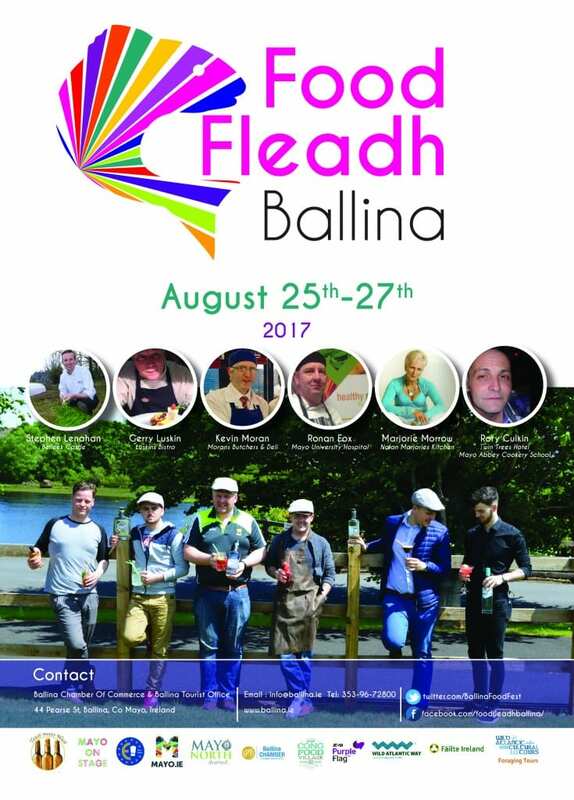 And fast becoming one of the most anticipated events in the North Mayo festival calendar is Food Fleadh Ballina. 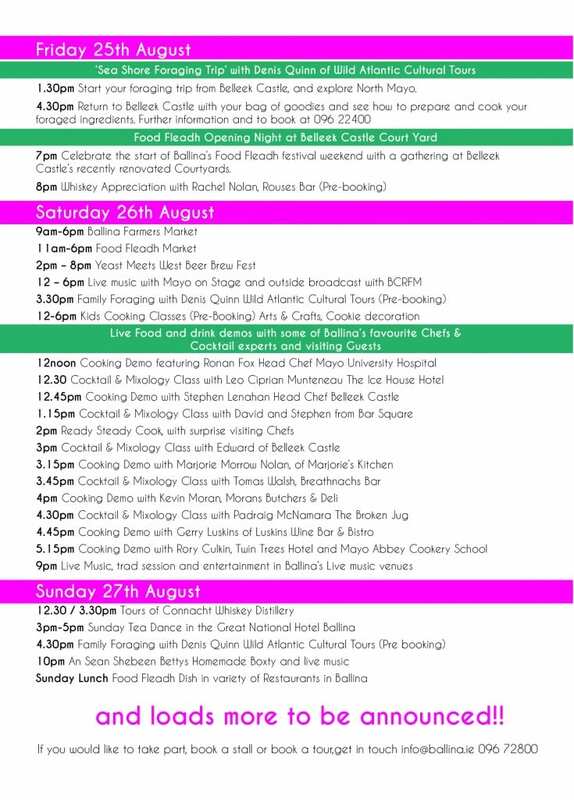 Mayo’s most anticipated food festival finishes off a busy summer calendar of festivals and events in the county with a weekend menu of wild Atlantic seafood foraging, outdoor cooking demos, kids cooking classes, craft beer brewing and Ballina’s own whiskey and poitin distilling as part of this year’s Food Fleadh Ballina 2017 celebrations. 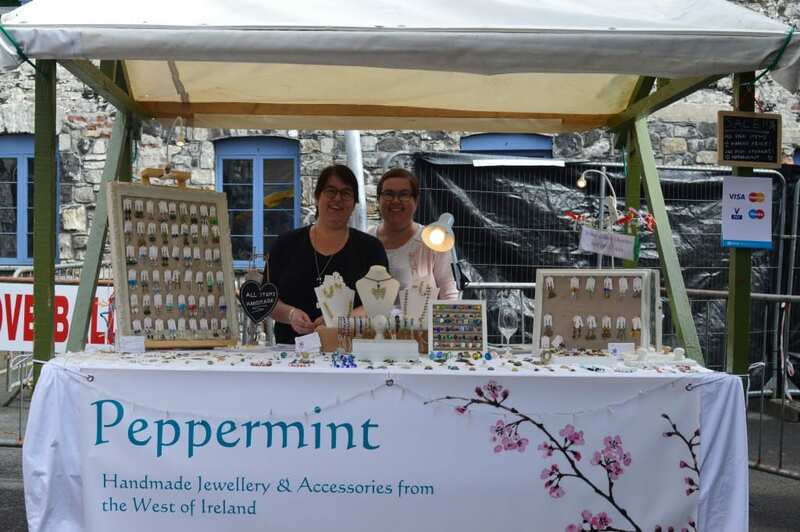 Ballina Chamber of Commerce, Mayo North Promotions Office, Failte Ireland and Mayo County Council are delighted to announce the return of this very popular event for its fourth year. 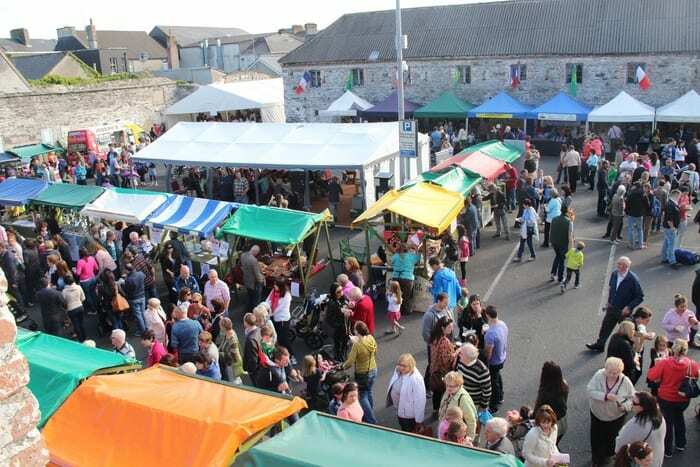 Food Fleadh Ballina takes place over the weekend of the 25th – 27th August with the main event, the Food Fleadh Market kicking off at 9am Saturday 26th August, running late into the evening. 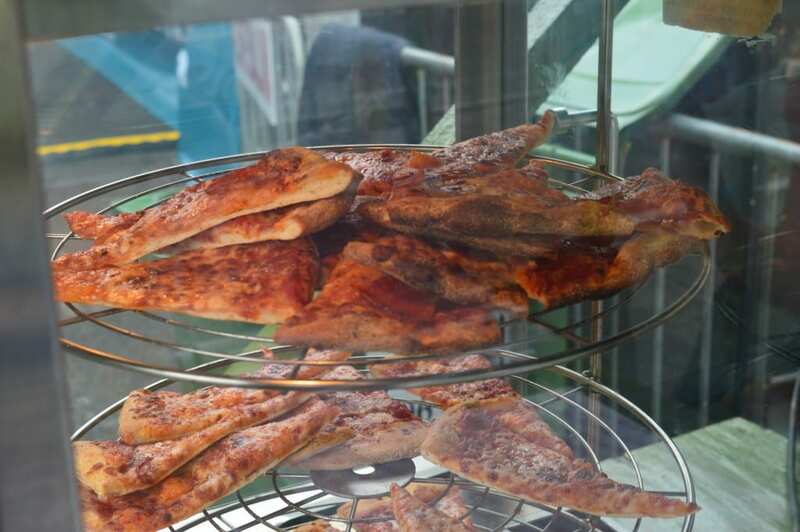 Food Fleadh Ballina most unique selling point?! 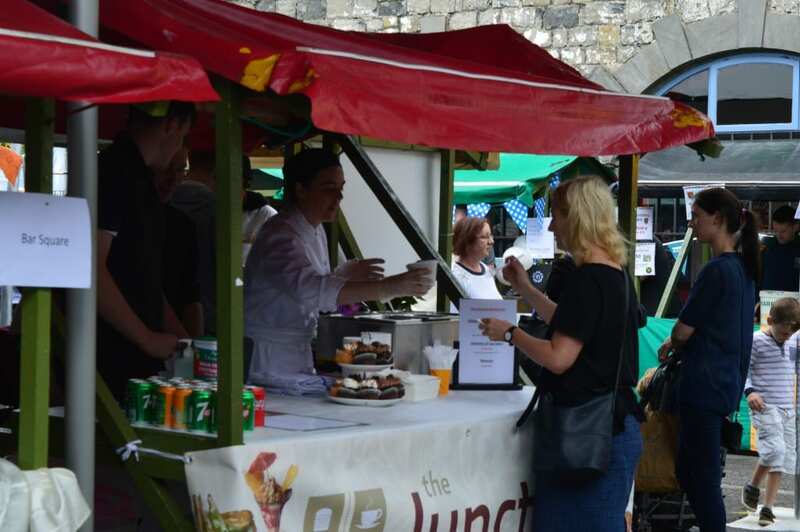 The most unique highlight of this food event is its prime location, Ballina’s town centre Military barracks; featuring Ireland’s only outdoor town centre covered space with a circus theme tent. 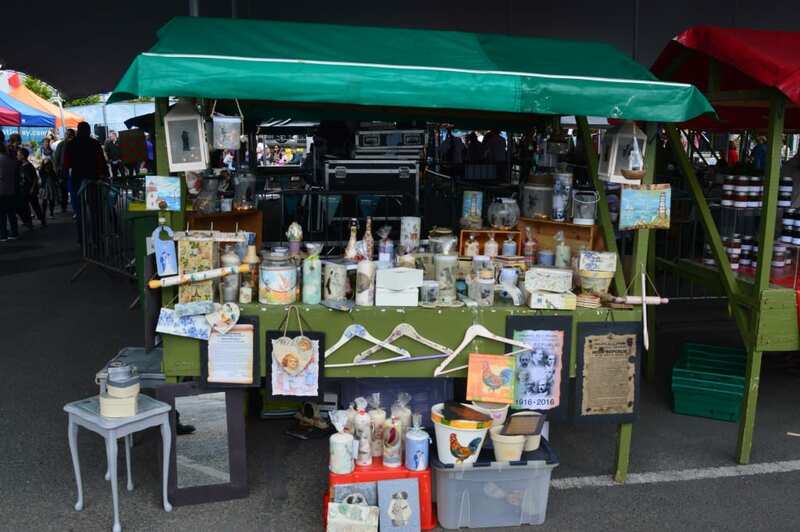 Ensuring Saturdays outdoor market events are not weather dependent! 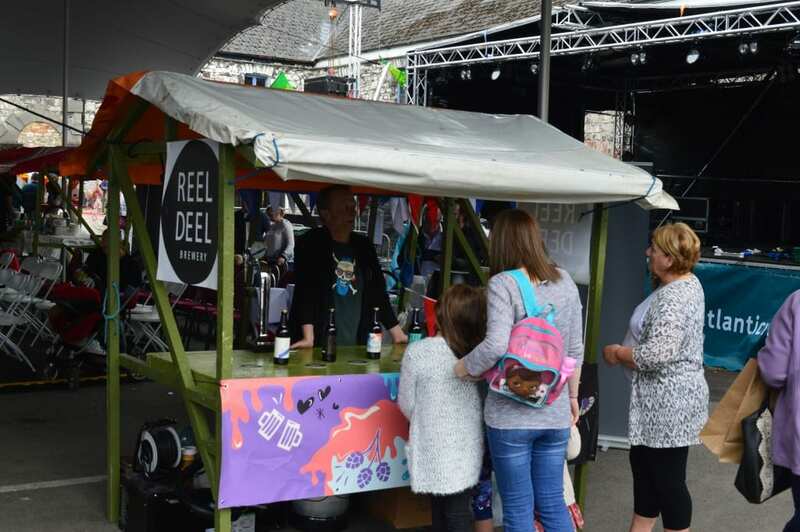 On the great success of Food Fleadh Market in 2016 with over 40 stall holders in attendance and 6000 visitors to the fleadh on the day, 2017 promises to be bigger and better offering a weekend long itinerary of foodie-themed events. 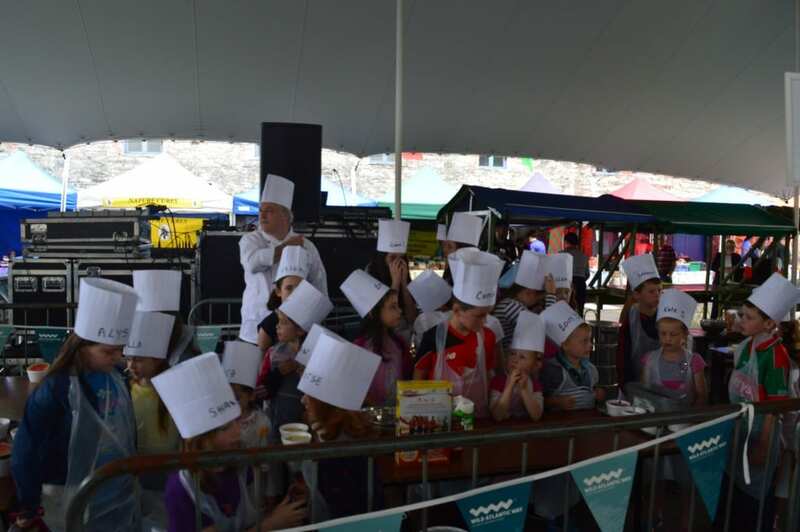 Sea Shore foraging with Denis Quinn of Wild Atlantic Cultural Tours, commences from Belleek Castle at 1.30pm, returning to Belleek at 4.30pm to enjoy a feast of seafood cooked by Belleek Castle’s Head Chef Stephen Lenahan. Booking for this events is a must, Further information and to book your place, please book with Belleek Castle at 096 22400. 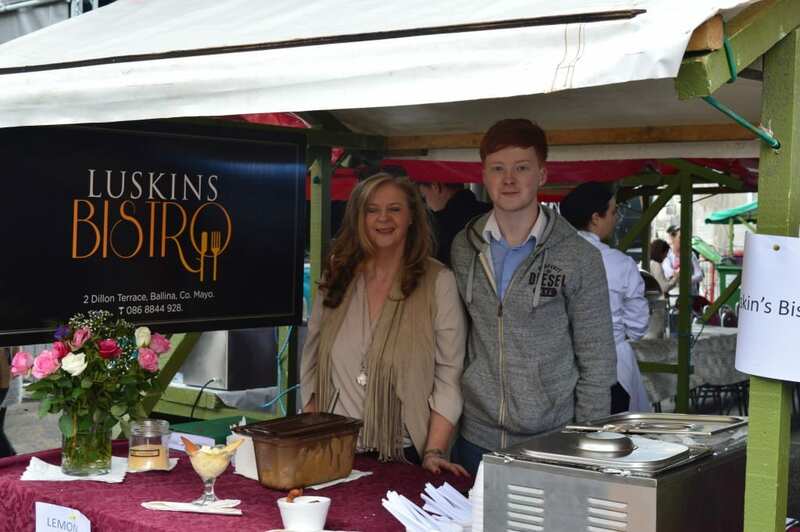 Friday night, 7.30pm Opening night gathering at Belleek Castle’s recently renovated ‘Jack Fenn’’ courtyard, welcoming all to a celebratory BBQ featuring locally sourced meats and seafood from North Mayo. 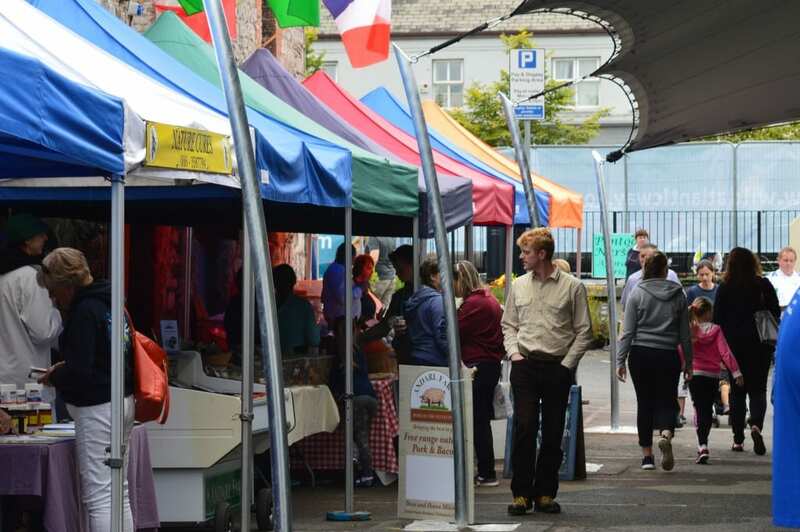 Food Fleadh Market on Saturday morning, commencing at 9am with the weekly Farmers market join forces with the Food Fleadh market from 11am, hosting 40 stalls. 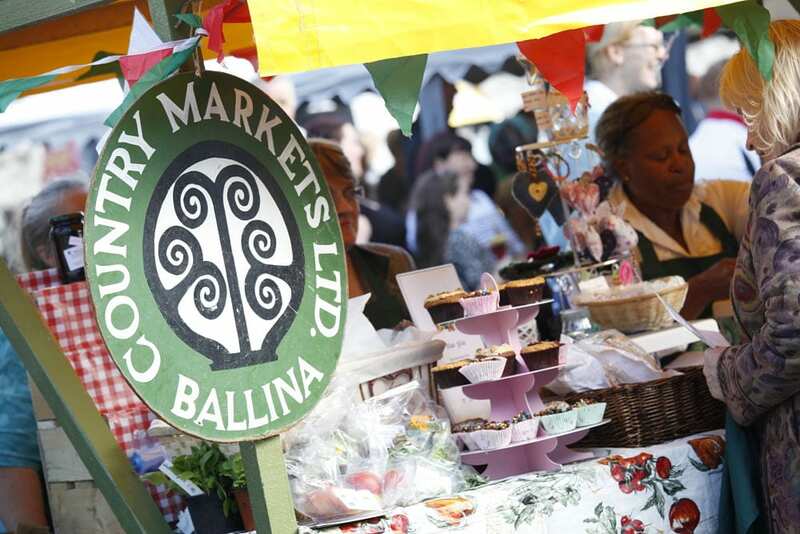 Sample the culinary specialities of Ballina and Mayo North’s gastro bars and restaurants. 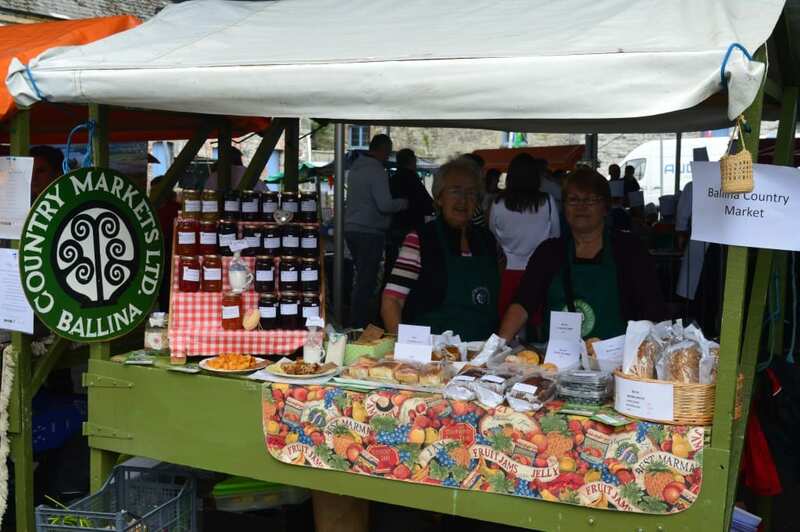 Supporting local farmers and meet independent food producers. 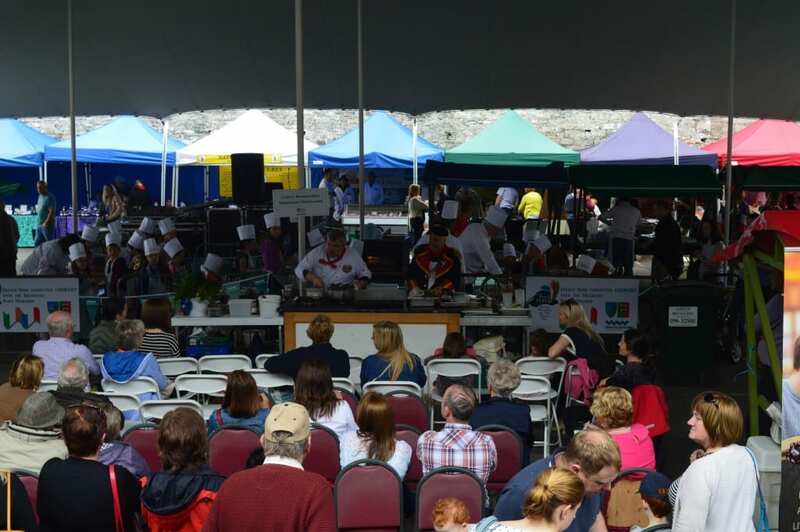 Back to back live cooking demos featuring the regions favourite Chef’s. 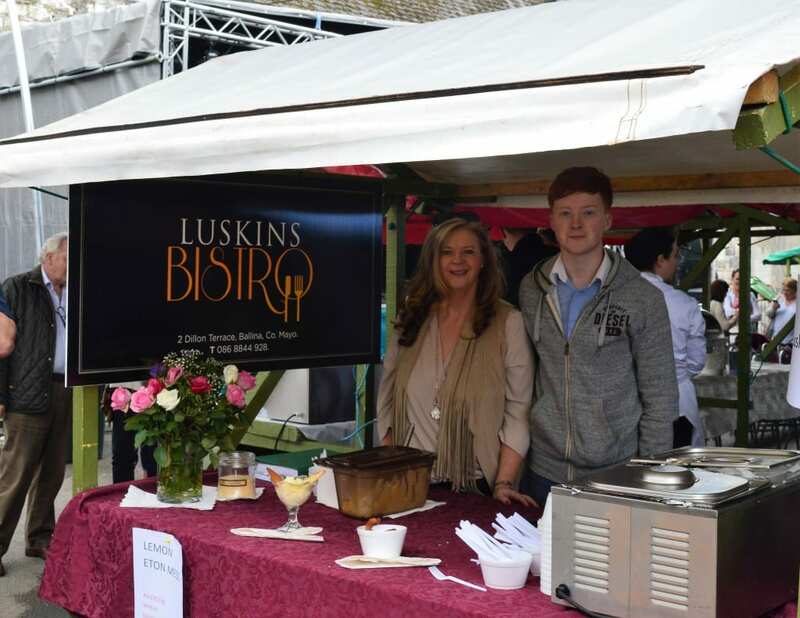 Sample the flavours of the cocktail demos from Irelands award winning top mixologist’s based in Ballina’s top bars. 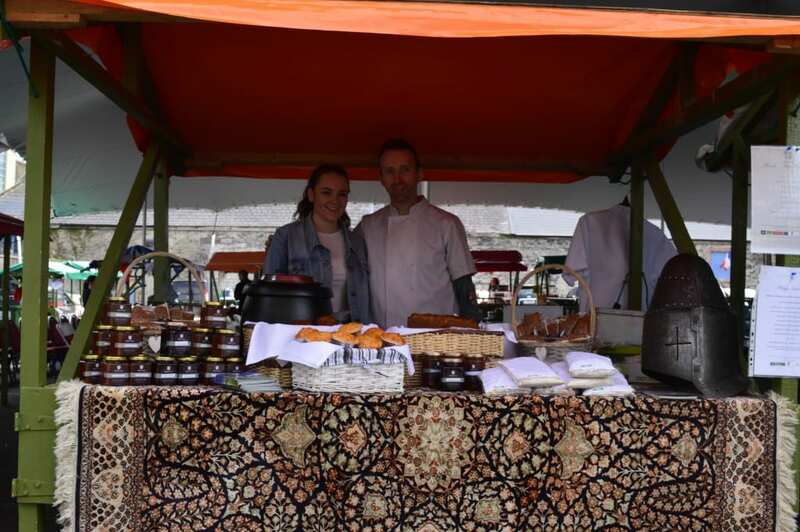 ‘Meet the Maker’ featuring your favourite butchers, bakers and organic gardens. 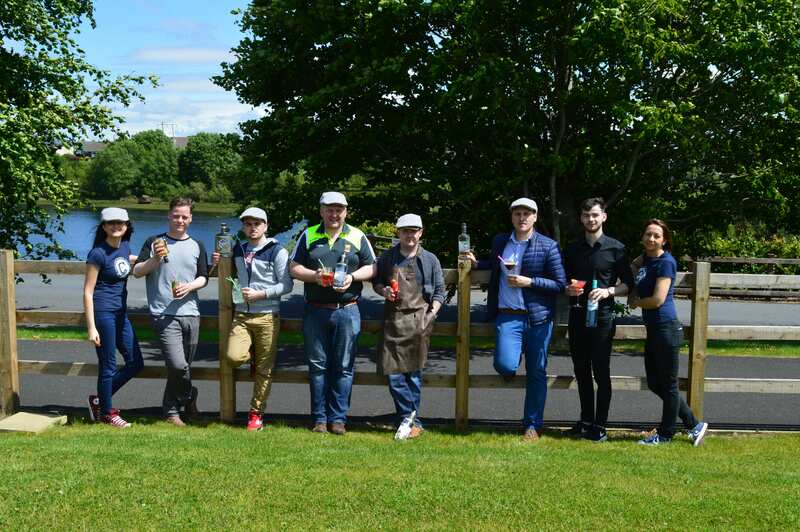 Left to right Ella of Connacht Whiskey Distillery, Stephen of Bar Square, Leo of The Ice House, Padraig of The Broken Jug, Tomas of Breathnachs Bar, Cian & Edward of Belleek Castle & Grainne of Connacht Whiskey Distillery, all participating at the Food Fleadh Ballina Food and Drinks demo on Saturday 26th August as part of the Food Fleadh Market. The inaugural ‘Yeast Meets West’ Craft Brew Fest takes place in the Military Barracks Bar, from 2pm till late featuring local breweries of the Wild Atlantic Way. 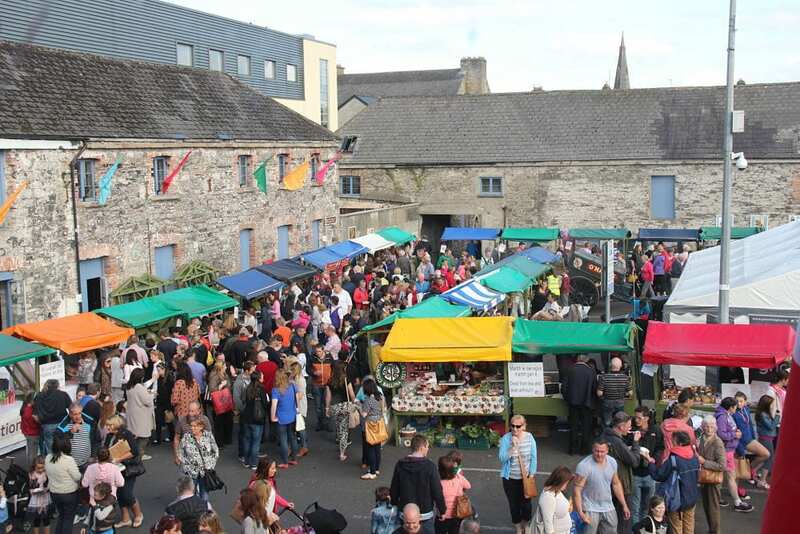 This is the first of its type to take place in Ballina and Food Fleadh Ballina is delighted and honoured to be collaborating with the organisers of this event to host it as part of Food Fleadh. 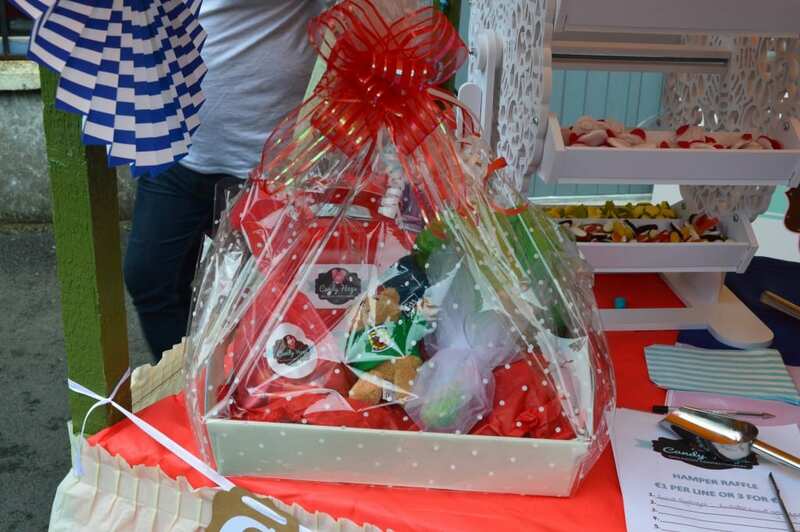 The very popular Kids’ Corner featuring Kids Cooking Classes, foodie inspired arts and crafts workshop and cookie dressing returns again. 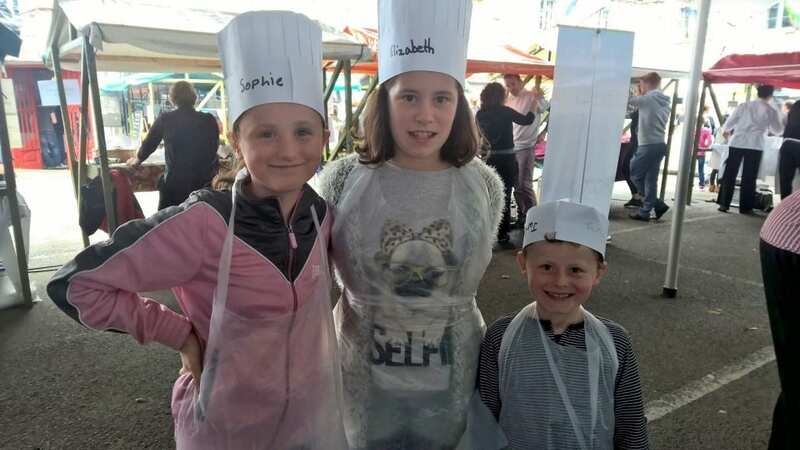 Cooking Classes are suitable for children aged 5-12 years of age. 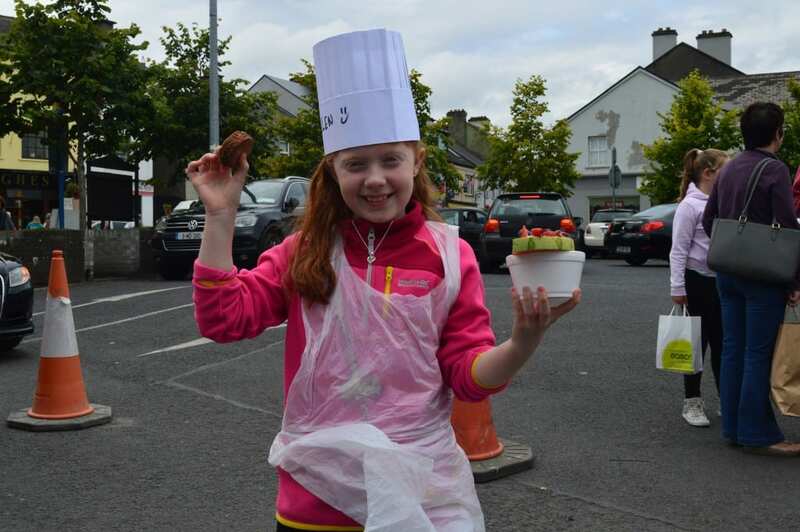 Arts & Craft Classes are suitable for children aged 5-12 years of age, €5 per child and bring your art home. 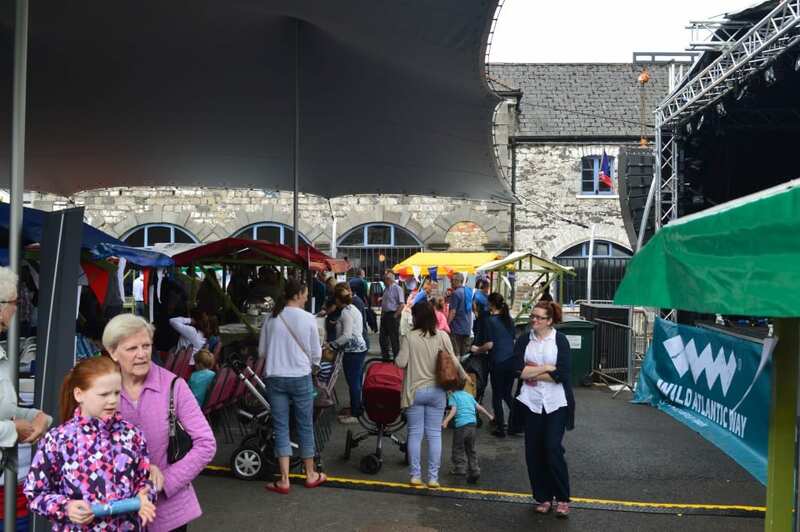 Food Fleadh Ballina is delighted to welcome Mayo on Stage back to the barracks after its first outing as part of the Mayo Day celebrations hosted in April. 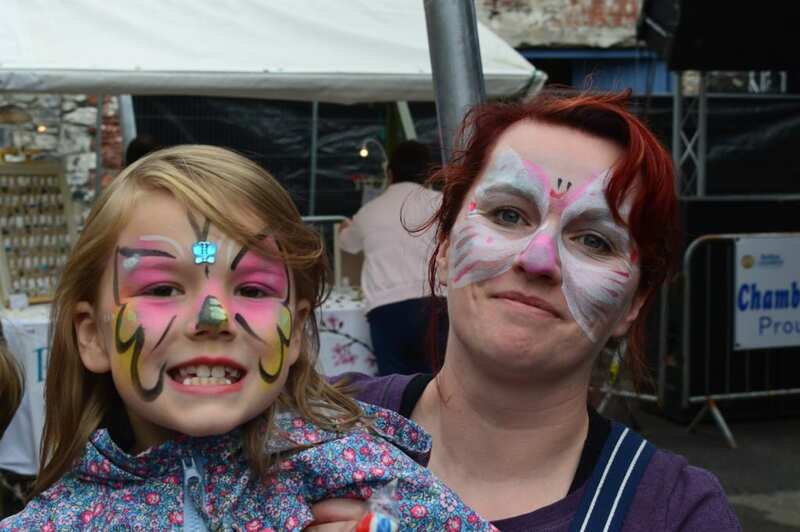 Maureen Lawlor of Centre Stage Vocal Academy and Edel Forde of Ballina Community Radio 101.9FM have created a musical extravaganza featuring talented local children and musicians. 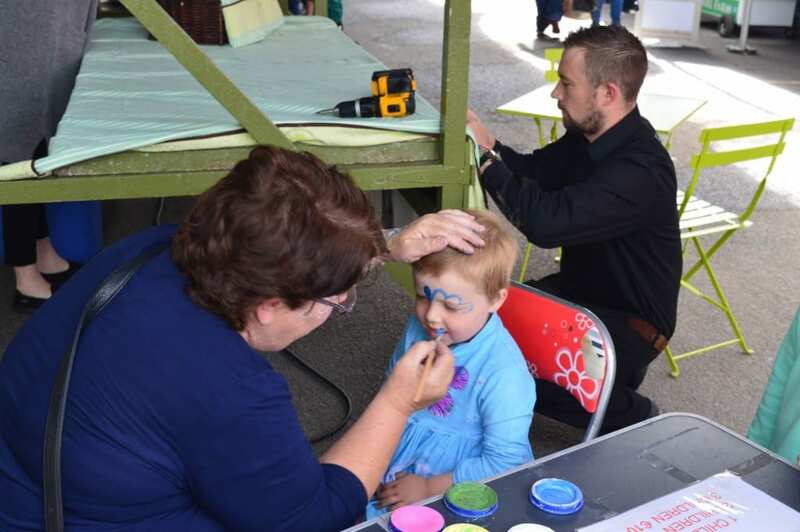 Ballina Community Radio will also be hosting a number of outside broadcasts from the military barracks on the day. 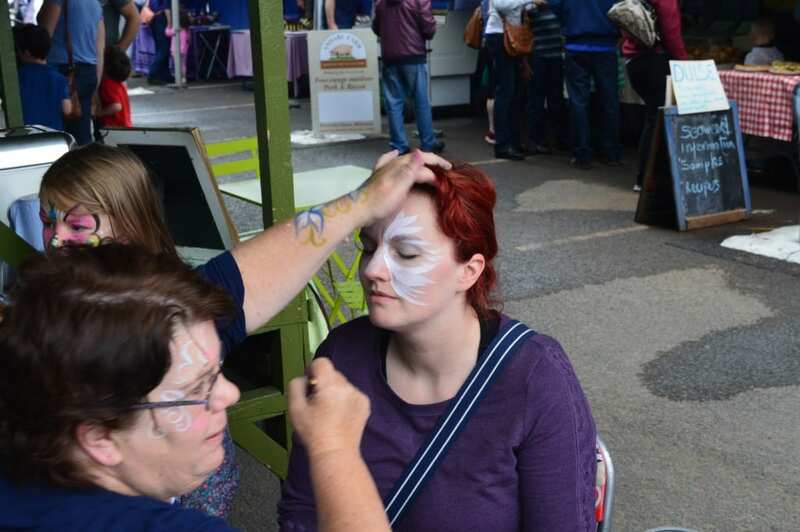 After a very busy Saturday, Food fleadh Ballina Sundays activities features many of the local hospitality businesses. 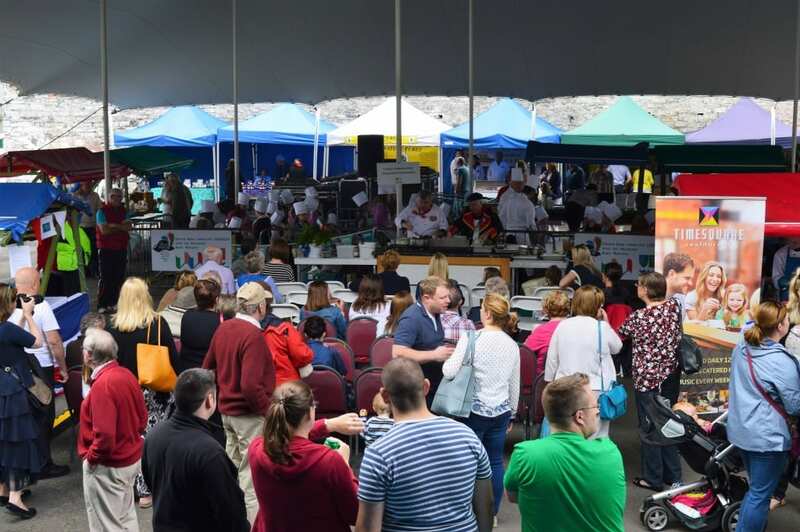 The day features a charity tea dance in aid of the Mayo Roscommon Hospice at the Great National Hotel Ballina and a night in the Auld Shebeen enjoying the delicacies of Bettys unforgettable Homemade Boxty. 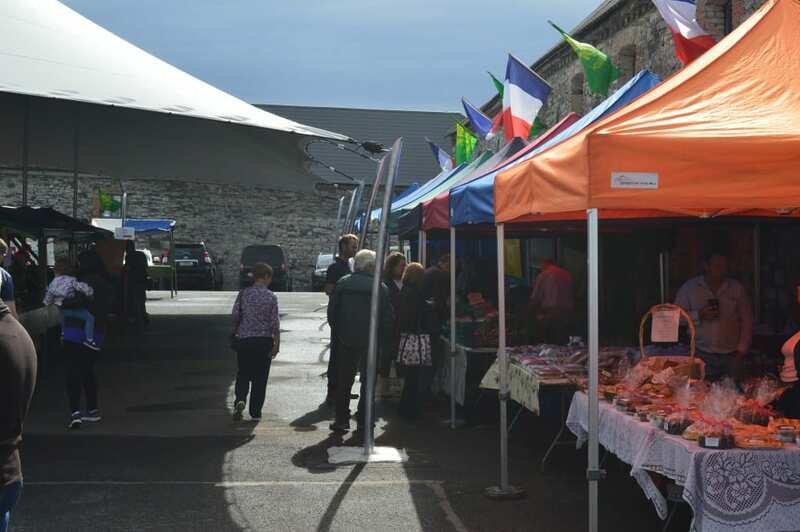 Food Fleadh Ballina is delighted to host a very unique experience Sea Shore foraging trips along the wild Atlantic Mayo coastline with experienced cultural guide Denis Quinn again on the Saturday and Sunday with both days events tide dependent. 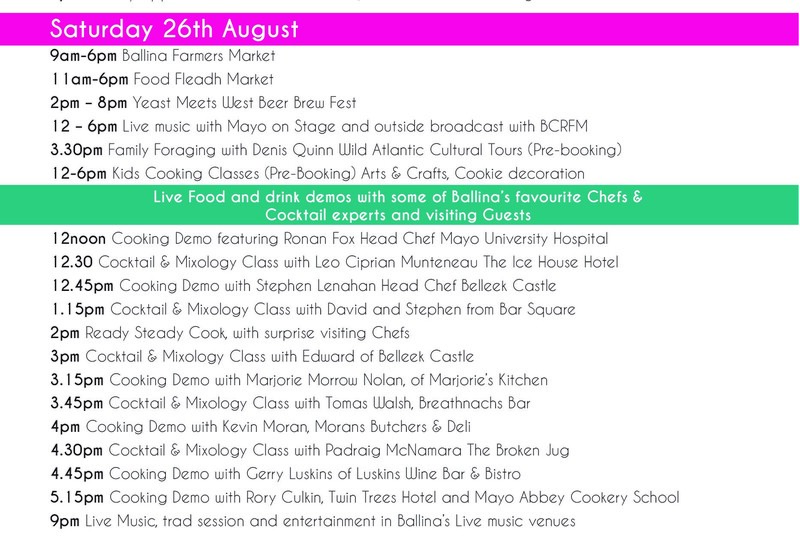 Further information on this event and to book a spot please contct Ballina Tourist Office 096 72800. 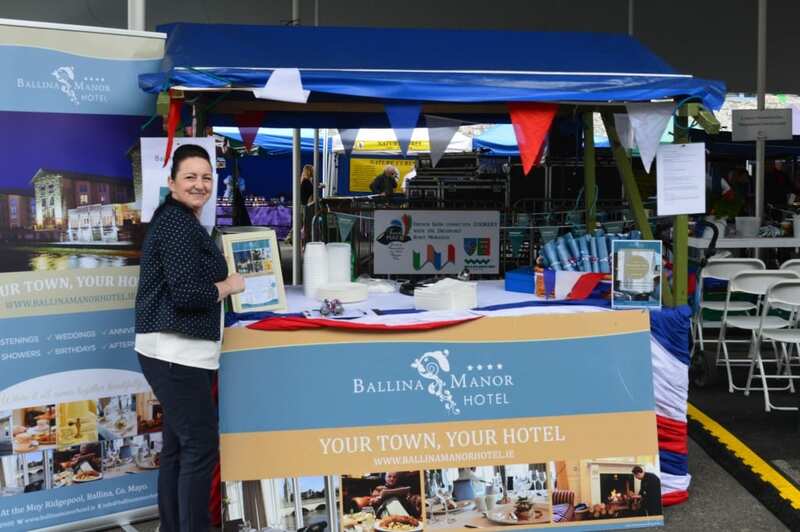 If you have an interest in participating in the event and need more information please contact the Ballina Tourist and Chamber of Commerce’s office. We would love to welcome your business to our town.